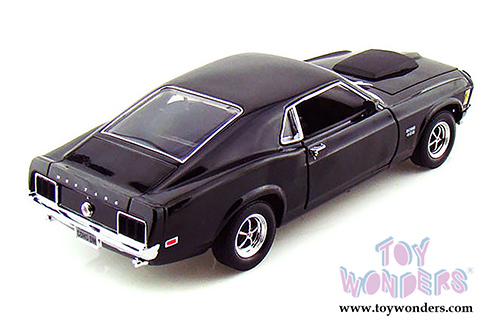 73154TC/BK Motormax Timeless Classics - 1970 Ford Mustang Boss 429 Hard Top. 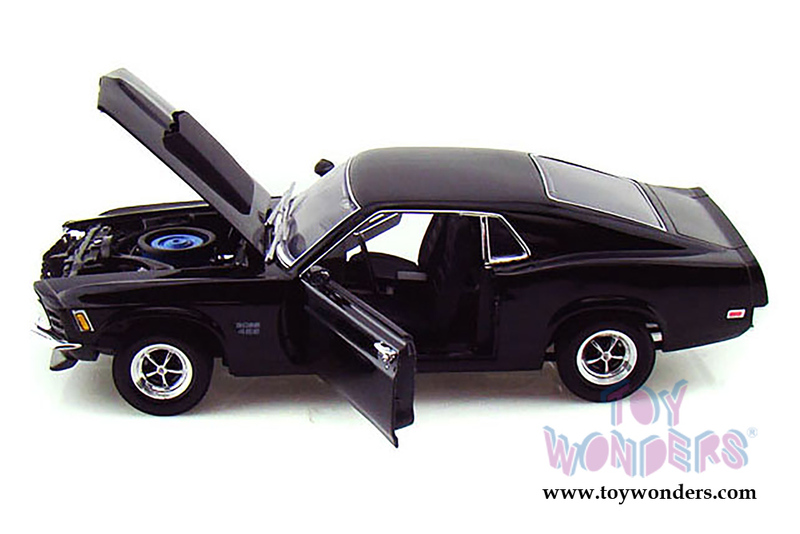 1:18 scale diecast collectible model car. 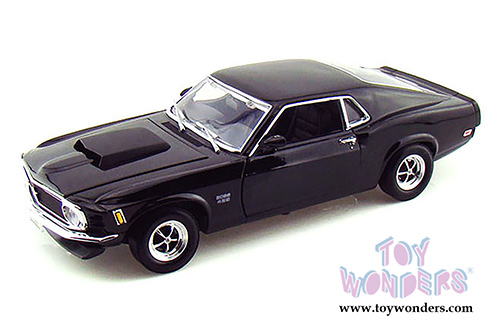 This 70 Ford Mustang Boss 429 measures 10.25"L x 3.75"W x 2.5"H diecast classic car with open able doors & hood, steerable front wheels, detailed engine and interior. This 70 Ford Mustang Boss 429 is manufactured by Motor Max Toys. Sits on a display plaque. Individually packed in a decorated window box. Box measures 14"Lx 6.25"Wx 5.5"H. 73154TC/BK is in BLACK. 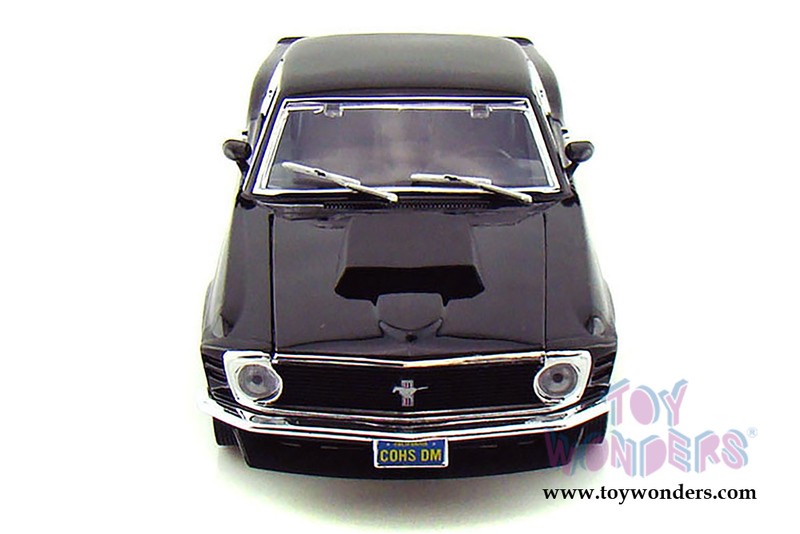 To see more Ford Mustang collector die-cast models (click here).